I know it's not technically Monday, but yesterday was a holiday, so Tuesday is the new Monday? I mean technically it doesn't make a difference to me as I'm on maternity leave and every day is a weekend to me... sort of. So even though I didn't have plans per say this weekend, it turned into a pretty busy couple of days. On Saturday I cleaned the house. It desperately needed a vacuum and a mop. I swear having cats makes it seem like you never clean your house. Literally an hour after vacuuming there was litter everywhere again. We also went food shopping which was also pretty needed. Sunday I got motivated enough to go through a large stack of magazines that has been taking over one of my book shelves. 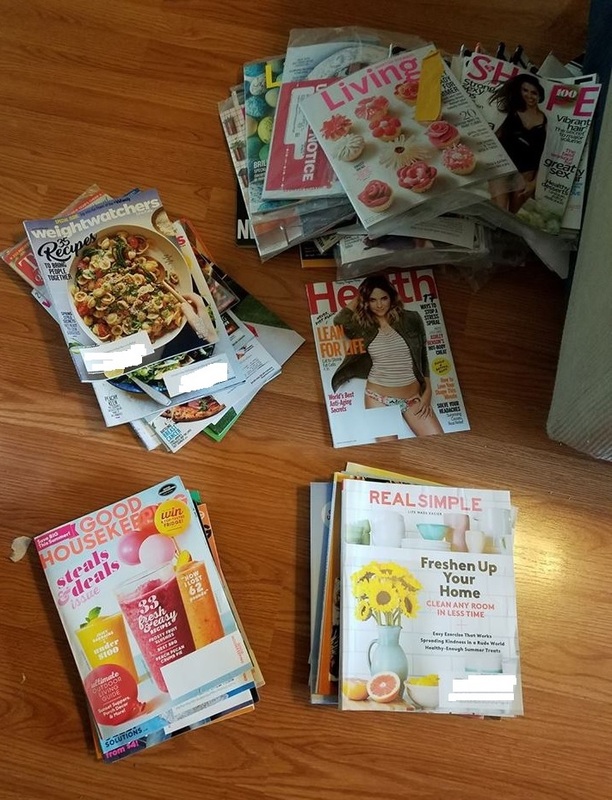 There were magazines dating back to 2016 still in plastic. I sorted them by name and then sorted them by month and year. I literally have 5 or 6 different magazines that just show up at my house. I don't pay for any of them and they are in my name. This has been happening to my parents house for years. Magazines showing up in my name that I didn't order. I haven't lived there in almost 7 years and they still get magazines in my name. They have finally found me here in my new home as I have started receiving magazines last year. I spend a good portion of Saturday going through and reading the Real Simple magazines cover to cover. I treated it as a self care item that kept me off my phone all day. I even took notes on things I wanted to remember and wrote down websites I wanted to visit. It was a very soothing exercise for me. 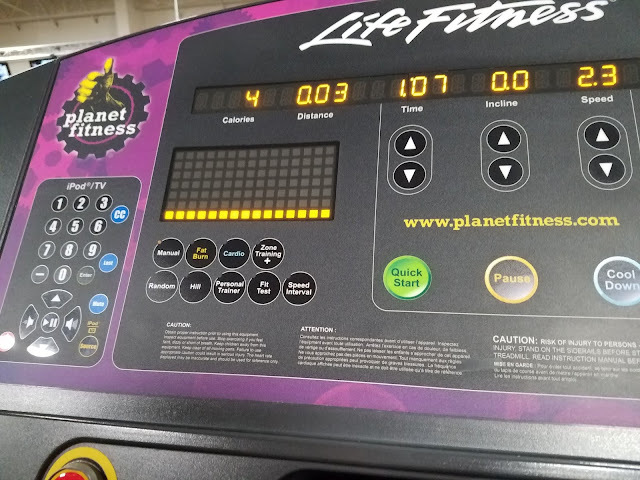 On Sunday night I went to the gym for the first time since having Baby Bloob. It was a very surreal moment for me. It doesn't help that my gym got all new machines and things were all moved and not familiar to me. I had to look for things and that made going back a little harder. I took it easy as I have not been cleared yet from my doctor. I just did 30 minutes on the treadmill. The trip was mainly for stress relief and that was nice. 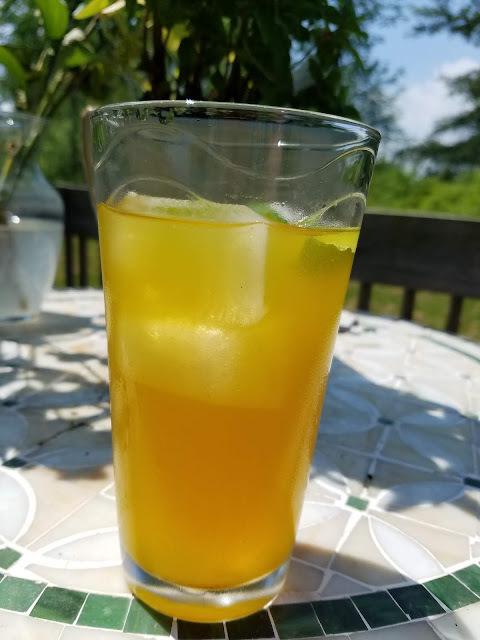 After the gym I experimented with making Turmeric Lemonade. I wanted to try something new. I let it sit overnight and served the 2 glasses to R and I on Monday as we were cleaning up and putting up our deck canopy. It was very hot and the drink was very refreshing. I added some of my fresh mint to garnish. It was delish! We had friends over for food and conversation on Monday afternoon and then it was clean up and relaxing until bed. Baby Bloob went down easy to bed and we got cleaned up and I read my magazines. Even though it was very busy in a sense, I found it all very relaxing too. We have a clean house. We got to visit with friends. And I have found something to pass my time that keeps me from living on my phone. How was your (three day) weekend?